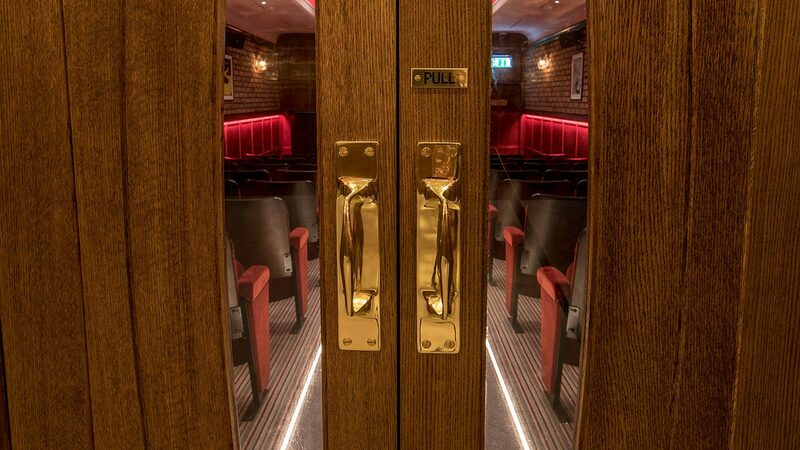 Before being lost to time, The Cutting Room was an ornate vintage cinema where workers would gather to watch a picture together at the end of a hard weeks graft. 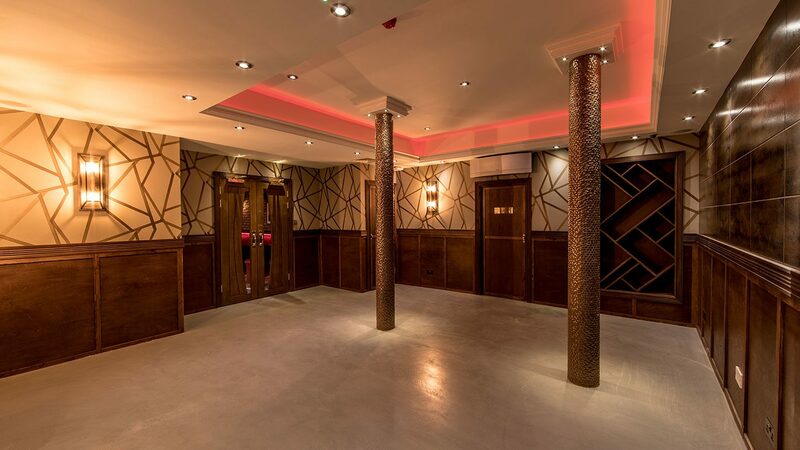 Now restored to its decorative former glory and enhanced with the latest in audio visual technology, The Cutting Room is once again a space to gather with friends or colleagues and immerse yourself in the surrounding sights and sounds. 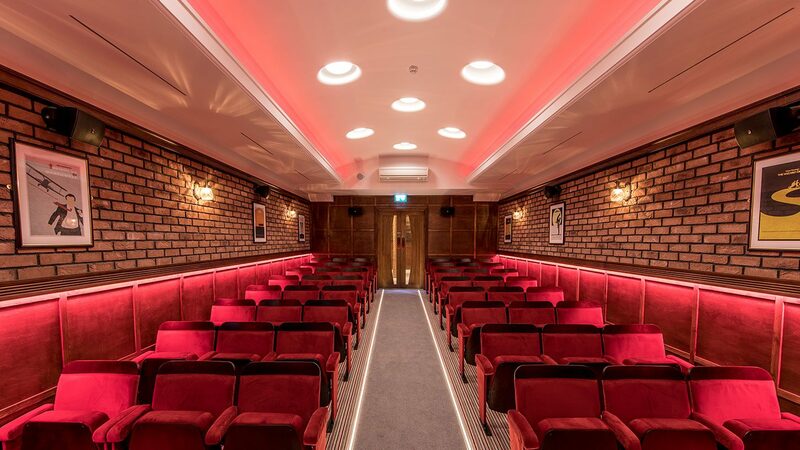 The Cutting Room takes design hues from screening rooms of the past with beautiful tiered red velvet cinema seating and a separate lobby area for guests to gather in. 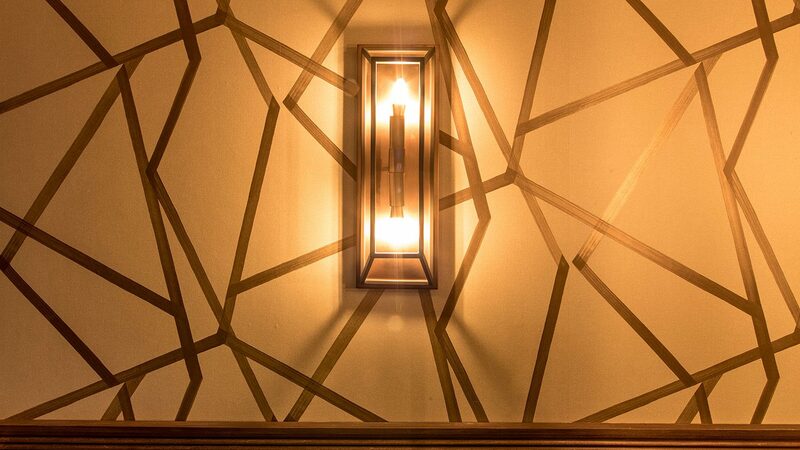 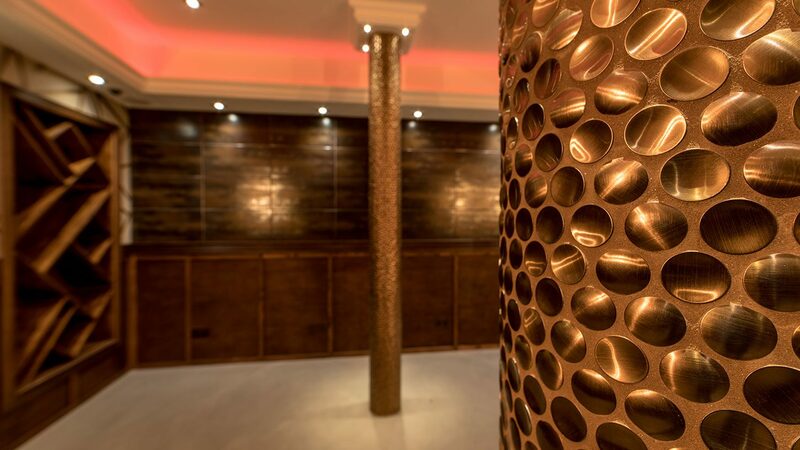 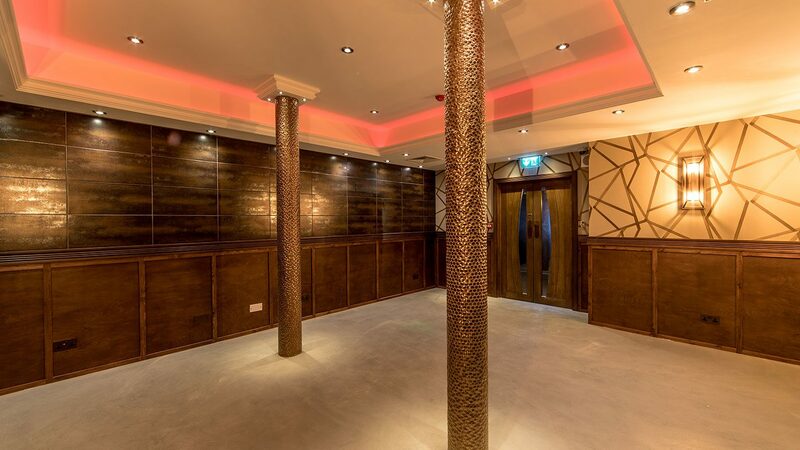 The wooden panelling and soft furnishings sit elegantly alongside eye catching copper tiling and signature lighting that help set the elegant but authoritative tone of the space. 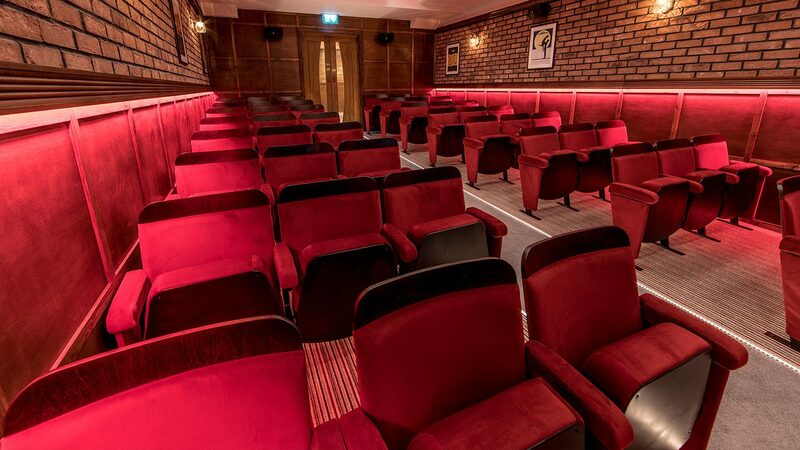 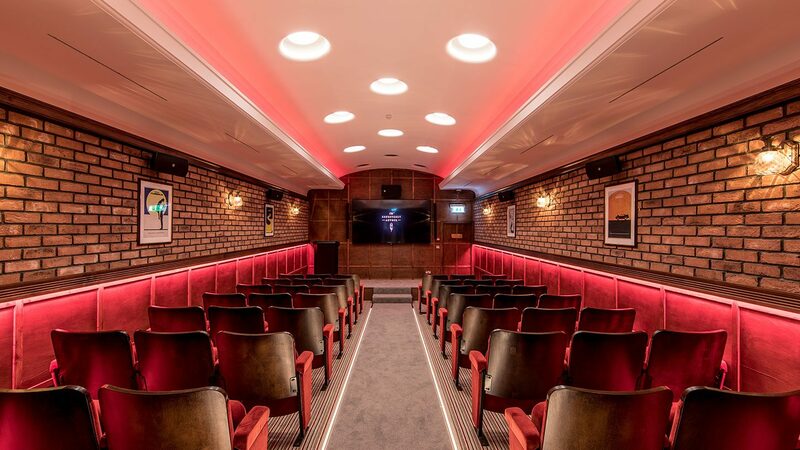 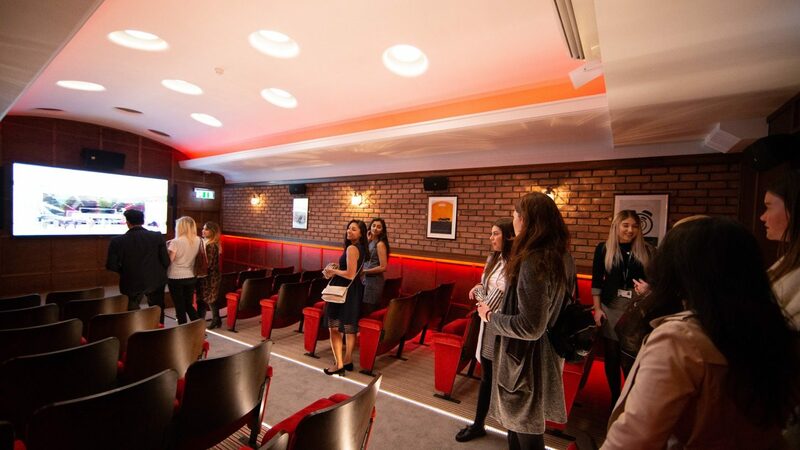 The room features ﬁxed seating for 48 guests to enjoy screenings and meeting presentations on a huge 98 inch screen with accompanying digital surround sound and immersive LED lighting. 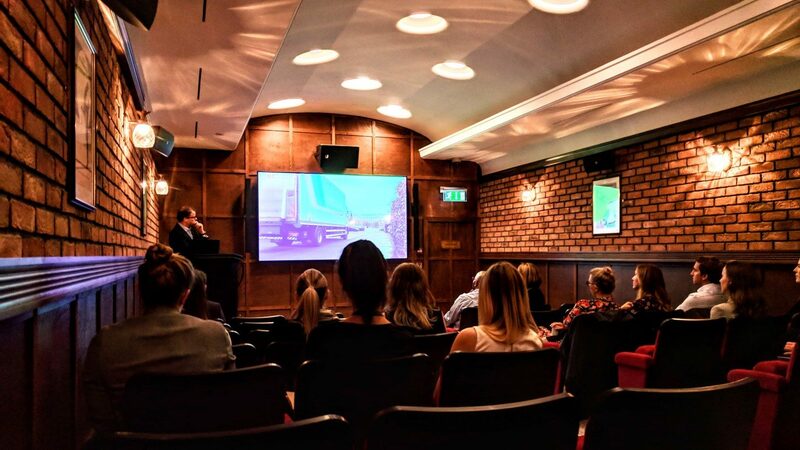 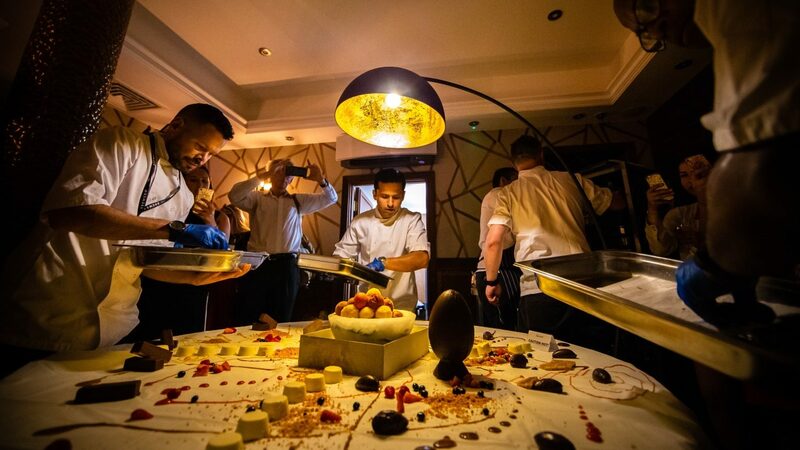 This quirky and enviable environment will help make product launches, small conferences and company brieﬁngs the highlight of any industry event calendar. 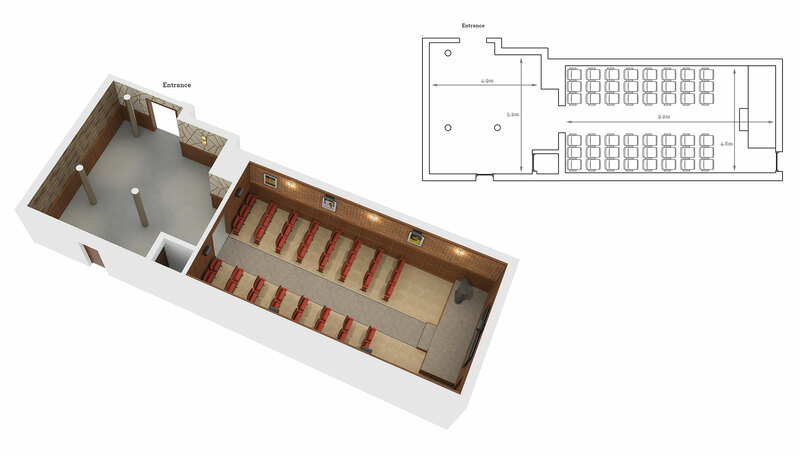 The ﬂoor plan below shows the ﬁxed layout of The Cutting Room.